A pound of fat contains 3500 calories. This would take a vast amount of strenuous exercise to burn off - more than most people can or want to do. You would have to dig a ditch for 7 hours a day to achieve this! So let's split it up. There are 7 days in a week. Losing 500 calories a day therefore means that by the end of the week you will have lost that pound (of fat). That's still quite a tall order in a busy life. So remember that weight is a product of both calories in (food and drink) and calories out (exercise, daily living). So eating and drinking 250 calories less each day and doing 250 calories more 'exercise' will make up the 500/day that we are after. Well, there about 250 calories in a danish pastry or two packs of crisps or half a Big Mac or 4 chocolate biscuits or 2 cans of coke or a large glass of wine or a pint of beer. Not having one of these a day is starting to sound a bit more manageable. What about 250 calories worth of exercise? 40 minutes of brisk walking, an hour of gardening, an hour of playing with the children, half an hour cycling or jogging or walking upstairs. (Remember standing uses almost twice as many calories as sitting!). So leave out that snack, have one drink less, stand when you would otherwise sit, and don't use the lifts. 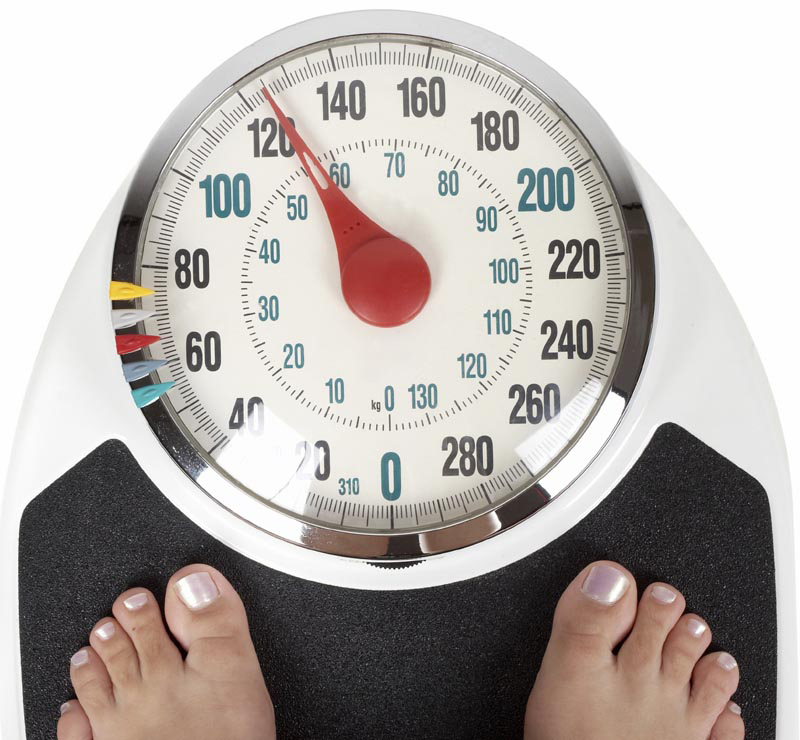 With these simple measures you are getting close to losing that pound a week. That would add up to over three stones in a year. You don't have to join a gym and it doesn't have to hurt!